With one of Toyday shops based in Looe we are no stranger to Rubber Duck races as each summer The Lions Club of Looe holds its own annual rubber duck race when around 5000 rubber ducks are dropped from the Bridge into the harbour amid huge cheers as the tide is going out. Through the summer people 'purchase' a numbered duck and on the day of the race the harbour is packed with every one hoping the duck they sponsored is the first past the finishing post although as with any race there is a lot of jostling, the ducks that is, as they float down the harbour. 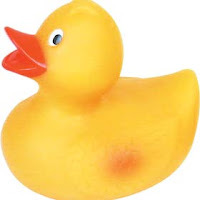 It is a hugely enjoyable event and raises an amazing amount of money for charity and we are finding that this kind of event is becoming more and more popular and we are getting requests if we can supply large quantities of rubber ducks which of course we can. 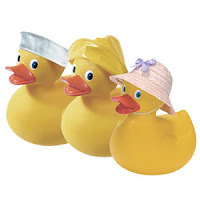 One criteria for a successful duck race as you can imagine is the fact that the ducks are suitable and although they all float in a bath its when they are dropped from a height or the water is perhaps a little choppy that they have problems. So the idea of this blog was to test a few of the popular ducks for racing and see how they stand up to the elements. Unlikely to topple over with a base of around 11 inches. Still very stable when dropped from a height. Standing 10 inches tall its easily visible from a distance. Quite stable with a base of around 7 inches. Still quite stable when dropped from a height. Stands around 7 inches so easily seen from a distance. 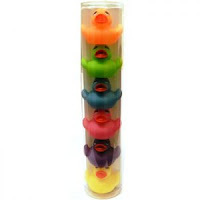 Floats upright when placed in water. Does not always land upright if dropped. Unlikely to land upright if dropped. They are quite visible as coloured and also quirky. Very stable for its small size. Mostly lands upright when dropped. Comes in bright colours so is quite visible. 9/10 for a Duck Race. Tends to fall on its side when dropped. Comes in bright colours so easily visible. 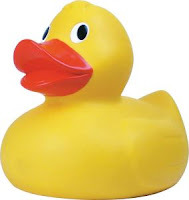 I hope this helps in any plans that you may have for a future duck race and if you witnessed or heard about the O2 Duck Race and the Spinningfields charity event held in April we supplied the giant ducks for these events. 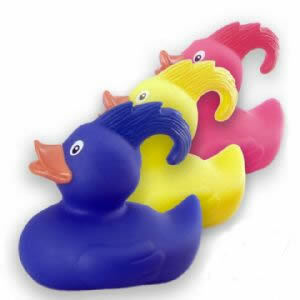 Family ducks were sponsored for £1 and corporates ducks £150, and many ducks being painted to add extra amusement. Happy Duck Racing.